The best gift I’ve received this Christmas wasn’t intended as such. There was no fancy wrapping, card or bow, just a repurposed cardboard box stuffed with all the reflection folk art can summon. My aunt and uncle are moving to a retirement community in the North Carolina mountains. Jettisoning what they can after decades in Durham, they need to travel lighter. A late November email asked if I wanted some heirloom quilts my aunt inherited from my paternal grandparents. She said the quilts were old and fragile, some with holes, but could still serve ornamentally at least. I accepted. They arrived days later. Once argued as a mere craft by arts cognoscenti, it took a 1971 Whitney Museum of Modern Art exhibit of historical quilts to break those barriers. 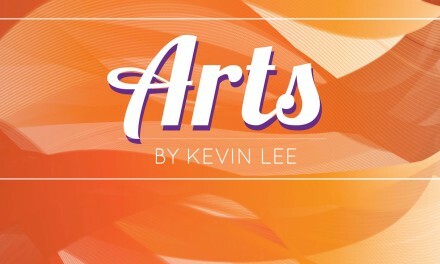 If evocative and provocative natures are the essence of art, then my recent gifts more than meet that qualifier. The first quilt out of the box was beautiful. Multicolored scraps in rough hexagon loops nested across its surface, seeming to swirl like myriad eddies in a fabric pool, vaguely reminiscent of Gustav Klimt. The work reveals an eye for design and composition, someone willing to step beyond typical geometric schemes. It also testifies to years of patience and learned craft. The second quilt was plain in comparison, obviously utilitarian. Its irregularly sized patches of weathered khaki and blue were the remnants of old work pants and overalls. This was an attempt to stave off nights where the winter wind bit through the thin walls of a sharecropper’s house. My great grandmother did her best with what was available. She lost her mother as a child, so who was there there to teach her? “They would comb their own cotton and literally spread it out as a layer and quilt it in. I can recall some of her quilts that I have felt a random cotton seed inside of,” my aunt wrote. For me, that’s the quilt with deeper treasure. In its faint sweat stains and frayed spots, my roots are embedded. It’s a product of poor ancestors who migrated from the Atlantic coast, stopping in Georgia before settling in the hardscrabble country of lower Alabama. It holds the story of great grandparents who were tenant farmers. On society’s lower rungs, they worked hardest and earned least in a system designed to keep them in perpetual peonage. 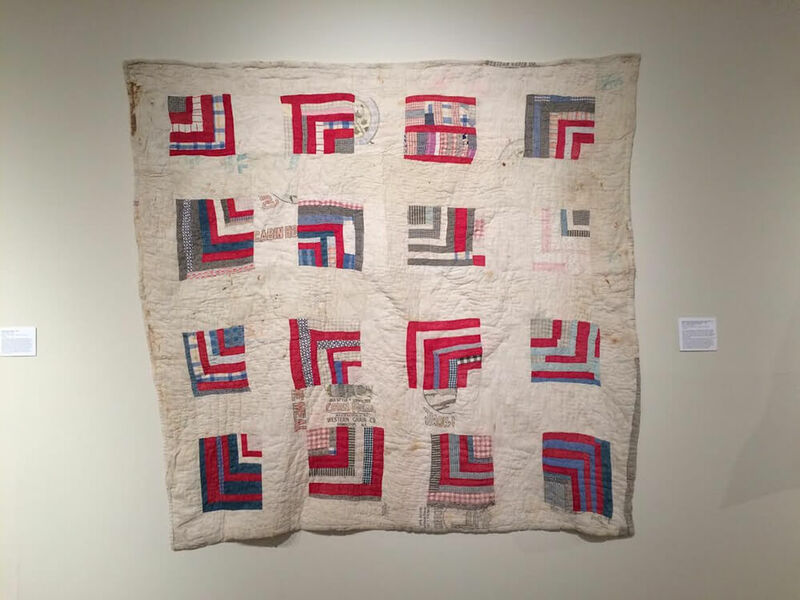 When I see that quilt, I hear the voices of many deceased relatives and stories of enduring the Great Depression in rural Mississippi, Alabama and Georgia. I recall downtrodden strangers plodding dusty roads seeking a day’s work in exchange for food, characters straight from a John Steinbeck tale. I hear another great grandmother talk about defense work winding armatures in a World War II airplane factory. Her labor affected thousands overseas, maybe Kurt Vonnegut or Joseph Heller. The memory leads to her kids and their generation’s branches on my family tree. They went to boot camp and shipped off, heading around the globe to bear the weight of freedom’s fight. Some carried physical and mental wounds the rest of their lives. Those stitches remind me how Uncle Sam lifted my family from poverty. The tenant farmer’s son — my grandfather — worked for a New Deal agency before enlisting for World War II. Once in uniform, he received the training needed to work a radar station in the Azores, technical know-how that led him into civil service and later private-sector comfort. Civil service carried him to a Brookley Air Base job, same with my maternal grandparents. Their massive migration wave tripled Mobile’s size and stirred darker backlash. Sadly, I still hear those echoes in oblivion to their ugliness. Replace “peasants” and “Baptist” with “Irish” and “Catholic,” or with “Jewish” and “synagogues.” Still amusing? Those dreaded invaders lamented in a few circles were my relatives. Their transgressions? Desires for a better life, for them and their loved ones. That friction stirs in the quilts, too. The mesmerizing aesthetics of one quilt can’t help but catch the eye. The drab one, though — that one seizes my heart.